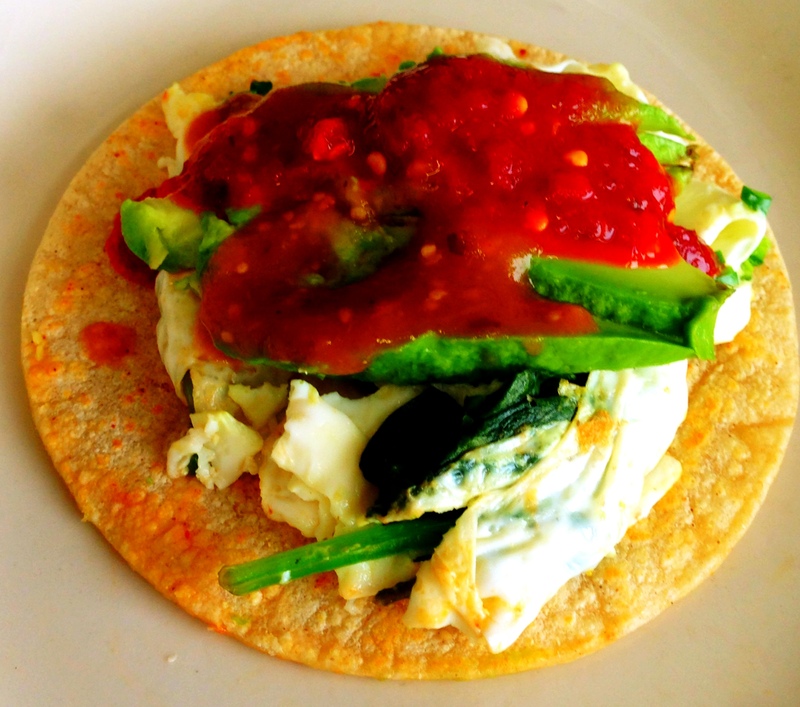 Incredibley Healthy Egg Whites Vegetarian Breakfast Tacos! Our “Incredible Breakfast Tacos” have always been a HUGE hit; all home-made salsas, Cotija cheese, home-made chorizo, avocado-tomato “fresca”, well, you get the picture; they’re incredible! NOW, we add the healthiest version and they are equally INCREDIBLE, in fact, I like them better because they’re so damn healthy. Fresh egg whites (not Egg Beaters) scrambled with green onions, spinach and mushrooms and folded into grilled soft double corn tortillas. Then we sprinkle a generous blanket of authentic Mexican Cotija cheese over the top and some of our made fresh daily avocado-tomato fresca and put some of our house-made roasted tomatillo salsa on the side. Where else? Fresh & Healthy Egg Whites Tacos, daily at Lowell’s! (The picture above from my phone camera is of the second of my two tacos this morning, after I’d already put the salsa on top along with local Washington State “Fletcher’s” hot sauce, which is outstanding in its own right!) Of course, our crispy thin shred hash browns come alongside. These are great, we’ll make them for you now, and they will be on our new seasonal menu coming out in the first week of November. Why wait? Also, back by popular OVER DEMAND, our fresh roasted pumpkin puree pancakes with all of the pumpkin pie spices cooked right in and then served with warm, home-made, slow cooked WA state apple compote-syrup! If these are not the greatest comfort breakfast for the holidays I don’t know what is! The spirit of home, always at Lowell’s in Pike Place Market, the friendliest bar, people & the freshest food & views Seattle has to offer!